For 35 years, Michael’s passion has been coaching and mentoring children of all ages in swimming, and in life. He has taught swimming and coached at various community clubs and nonprofit organizations, as well as at public and private high schools in New Castle County. For years, Michael has supported the Boy Scouts of America, Special Olympics, Yes U Can Foundation, various fire and police companies and the Police Athletic League by donating the use of his health club and aquatic facilities. Michael serves on the board of trustees of Yes U Can USA Foundation and the Make-a-Splash Foundation Delaware. He served as treasurer for Delaware Chemo-Care Foundation and is past President of the Pike Creek/Hockessin Rotary. He is an active member of the Delaware State Chamber of Commerce, the New Castle County Chamber of Commerce and the Delaware PTA. As a state legislator, Michael sits on the following House committees: Joint Sunset Committee; Economic Development, Banking, Insurance and Commerce; Housing and Community Affairs; Revenue and Finance; Veterans Affairs; and Labor. 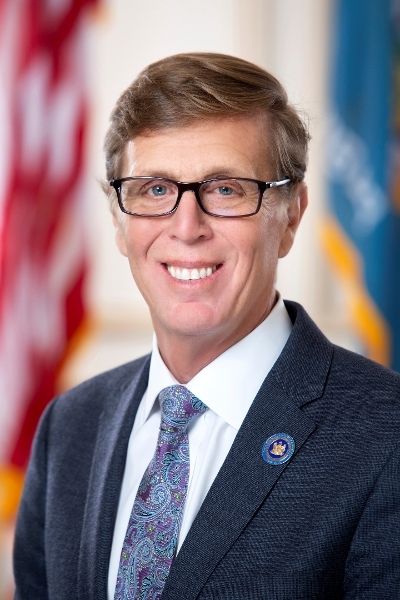 Additionally, he serves the people of our state as a member of the General Assembly Kids’ Caucus, the House Small Business Caucus and the Family Law Commission. He was also honored to be asked to serve on two of the Governor’s Councils – the Governor’s Mentoring Council for Children and Youth and the Governor’s Council on Health, Promotion and Disease Prevention. The 21st Representative District is located in northwest New Castle County and includes Pike Creek Valley, Carousel Farms Park and the White Clay State Park.